We like to work together to perform all kinds of security research, ranging from finding vulnerabilities and working with vendors/developers to get them fixed, over developing and documenting exploitation techniques to writing tools & exploits to support community security frameworks such as Metasploit. We enjoy sharing our findings and knowledge with others. One of the results of our team work are the Corelan Exploit Development tutorials which have been published on this website over the last few years. In addition to this, we operate a forum and also hang out in the #corelan channel on Freenode IRC. Feel free to drop by and don’t be shy to ask questions. If we can answer and help, we certainly wil. Yes, of course we like to have fun. Doing all of the above is fun already, but we also enjoy joining forces and play wargames, public CTFs, etc. The team mainly consists of people who are involved with IT security in their professional lives. While part of Corelan Team, some of our former and current members got jobs at well known and well respected IT security related companies such as Rapid7, Tenable, ESET, Stratsec, Immunity Inc., iDefense or now work for internal Security Teams at big companies across the world (Boeing, Campofrio Food Group, Apollo Group). While these jobs are not related or affiliated with Corelan in any way, nor was landing the job the result of being a member of Corelan Team, we are very proud on what our members have achieved individually. To a certain extent, it adds to the high standards, ethics, quality and reputation of our team. Corelan is a firm believer in responsible disclosure as a non-profit team, and consists of security professionals and enthusiasts around the world with high-standard ethics. We condemn illegal activities related to computer hacking, and we will take appropriate actions if anyone in our territory is involved, or intends to be in such unlawful matters (ie. IRC or forum). Our tools, live trainings, and tutorials are created for the sole purpose of security awareness and education. We certainly do not encourage our readers/users/students/members to do harms with the knowledge they receive. 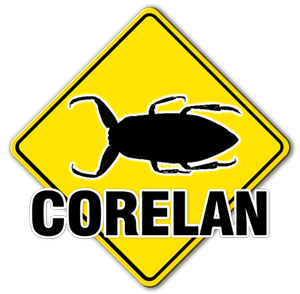 You can find all current Corelan Team members here.